Given these advances, budget issues, training requirements and scheduling issues, managers generally bring a long list of questions to discussions with manufacturers and dealers. Ford says before starting a conversation about the lift itself, managers should know their work requirements and the area in which technicians plan to operate. Issues such as knowing the floor loading requirements will help the operator specify the weight requirements necessary for that particular area, he says. Beyond basic questions, such as the most appropriate type of lift for a particular job, its cost, and its associated training needs, customers most often ask about a unit's requirements, Irwin says. They often ask about required personal protective equipment, as well as whether an operator can modify a lift, such as by hanging items from the platform, working outside the platform area, and even placing a ladder on the platform to reach even higher. The answer to each question is no. "Managers need to make sure lifts are not used for purposes they weren't designed or intended for," Reynolds says. Does the unit pass annual safety and maintenance inspections? "Some companies are not as diligent about that as they should be," Irwin says. Does the manufacturer or rental company provide familiarization training on the lift to operators? "Some still don't offer this," he says. 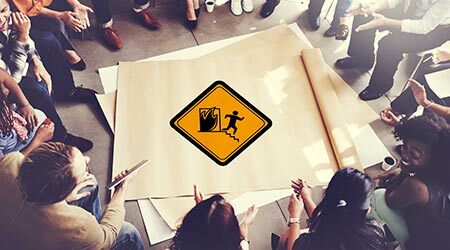 As manufacturers continue to refine their products to meet customers' many expectations and needs, safety will remain a focus of their efforts, and they advise managers to rethink their attitudes about lift safety. Irwin says most of the safety issues come from two problematic attitudes among customers. One is a cavalier attitude, where the customer says, "I already know everything about this unit" and therefore, does not pay attention during training, he says. The second is a attitude that all lifts are inherently dangerous, even in the best-case scenario. Says Irwin, "Lifts can be dangerous, but most of the time, operator error causes the problem."